Pelargonium ovale is one of several tufted pelargoniums that are suitable for container gardens. 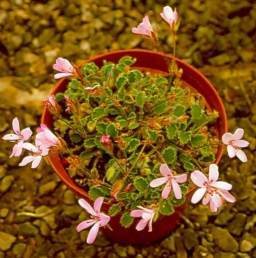 Pelargonium ovale is a low-growing, small shrub, up to 300 mm high. The leaves are ovate, grey-green and densely hairy with toothed margins. The stem is branched and covered with persistent stipules. Flower colour varies from white to pale pink to dark pink with darker markings on the upper two petals. Flowering is throughout the year but it has a peak flowering period from spring to summer. Pelargonium ovale is very common and therefore has no conservation status but P. ovale subsp. 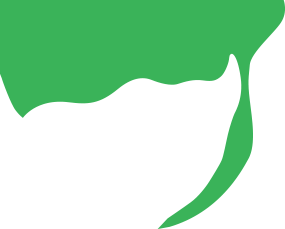 hyalinum has been included in the interim IUCN Red Data List in the category STBA (still to be assessed). The genus Pelargonium belongs to the family Geraniaceae, a large family of 11 genera and 800 species in the subtropical and tropical world. Pelargonium occurs in S, E and NE Africa, Australia, New Zealand, St Helena, Tristan da Cunha, Madagascar and Asia. 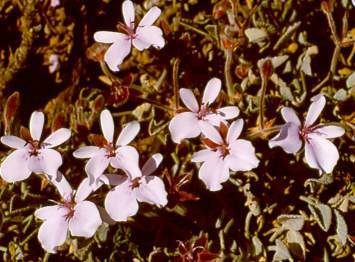 Of the approximate 270 pelargonium species overall, about 219 occur in southern Africa, with many in the Western Cape. Pelargonium ovale has a fairly extensive distribution range from the Swartberg and eastwards to Humansdorp. 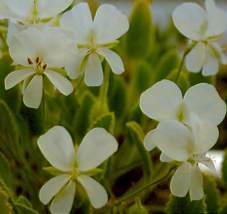 Its grows in mountainous and coastal fynbos habitats. This species includes a number of different growth forms, P. ovale subsp. ovale, subsp. hyalinum and subsp. veronicifolium. The genus Pelargonium derives its name from the resemblance of the shape of the fruit to the beak of a stork, pelargos in Greek. The species name ovale, ovalis (Latin) refers to the oval shape of the leaf. The seed of pelargoniums is quite interesting in that attached to the elliptically shaped seed, is a feathered, tail-like structure that is coiled in a spiral. The tail allows the seed to drill and secure itself in the soil if twisted around by the wind or by the movement of animals. No cultural uses have been recorded. Pelargonium ovale is ideal for any coastal garden that has sandy soil conditions. It can be planted among smaller herbaceous border plants in a garden bed. It is also suited for container gardening and flower boxes. This plant species is easy to grow from cuttings. Cuttings can be taken during any time of the year. Soft, herbaceous stem cuttings should be taken and a rooting hormone applied, to stimulate the rooting process. The cuttings should be rooted in a cold frame, in a well-drained medium such as coarse river sand. Rooting will take place within four weeks. Once rooted the cuttings should be potted in a well-drained potting soil. Sow the seed in a well-drained potting soil. Broadcast the seeds evenly in the seed tray, covering them with a layer of clean, white sand or fine milled pine bark. The depth of sowing is usually one-and-a-half times the size of the seed. Water thoroughly but gently and provide light shade. Germination usually takes place within three weeks. Pelargoniums grown from seed are generally more vigorous than those grown from cuttings; however, they take longer to flower. Goldblatt, P. & Manning, J.C. 2000. Cape plants. A conspectus of the Cape flora of South Africa. Strelitzia 9. National Botanical Institute, Cape Town and Missouri Botanical Garden.